This waffle mix is simply the best tasting and easiest to make. The waffles always come out crispy on the outside and soft on the inside. Cannot recommend this mix more! I just used my first package of the just add water mix. To my chagrin, the waffles stuck to the waffle maker. Next time I'll spray the waffle maker before cooking. I never had a stuck waffle with the original mix. 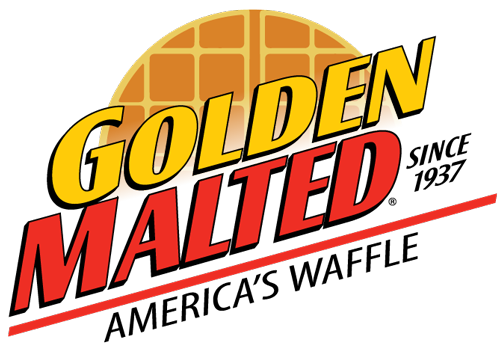 The waffles tasted just as good as the Original, but if the spraying doesn't help with the sticking, I'll go back to the original mix. I appreciated the company's shipping department efforts for I needed to postpone delivery of the order due to being out of town and asked them to postpone shipping a few days, instead, they shipped the order NEXT DAY AIR. Wow, what great service Carbon !!!!!!!! This is the absolute best mix I've ever had. Tastes just like I remember having at a motel when we were on vacation. 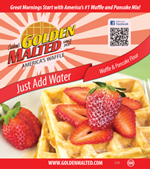 Can't get any easier for great tasting waffles. This is really the best one. Nothing extra needed--just water. Everything else is there in powdered form. Absolutely delicious. I like the taste of this this much better than the one called "Original". Easy to make - my family loves when I make these on Sunday mornings. Absolutely the closest thing to hotel waffle batters. The malt content helps. I would recommend adding an egg or two for richness. I also add cream cheese to richen up the taste. The melted butter works but do use an nonstick spray. I make my own waffles from scratch and they are delicious. However, since i was on vacation and staying in a hotel, i was forced to settle for waffles made from a permit. Too my surprise these were delicious and as good as mine, if not better. I'm searching for a local distributor now, because this is a must have in my cupboard.